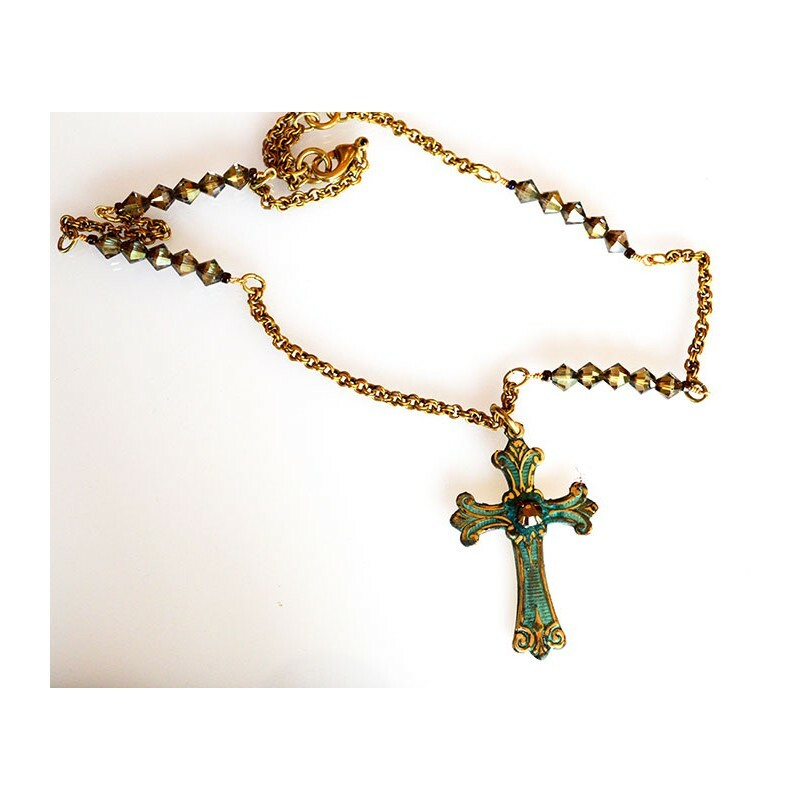 A Decorative Border Cross Necklace featuring intricate Decorative Scrollwork Edges in our one-of-a-kind coloration Verdigris Patina with Mirror Brass detailing, with a Bronze Swarovski Crystal and Crystal Beads. 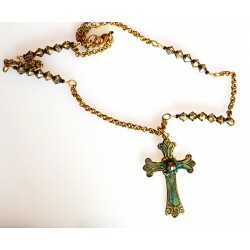 Length: 16" -18" Gold Plated Chain and Swarovski Crystal Beads. Pendant Measures: 1 1/4" x 2"